The media continues to portray pro-lifers as crazed and violent people who go around attacking women, but the truth is, there are many acts of violence that occur against activists who oppose abortion. 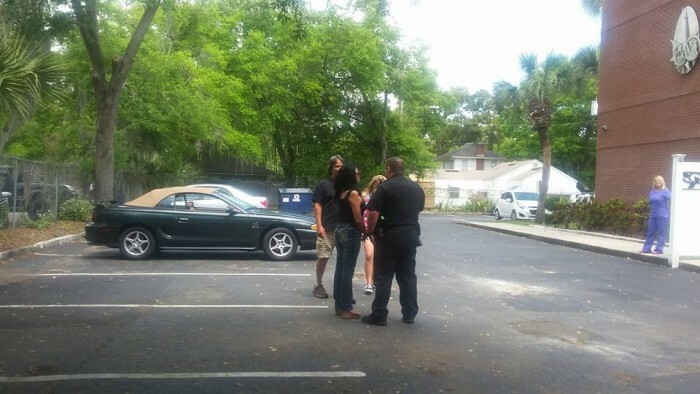 Case in point is an incident which occurred recently in Orlando, Florida, where two pro-life sidewalk counselors say they felt threatened, as they warned the parents of a young girl taking their daughter in for an abortion that the facility had a bad reputation. 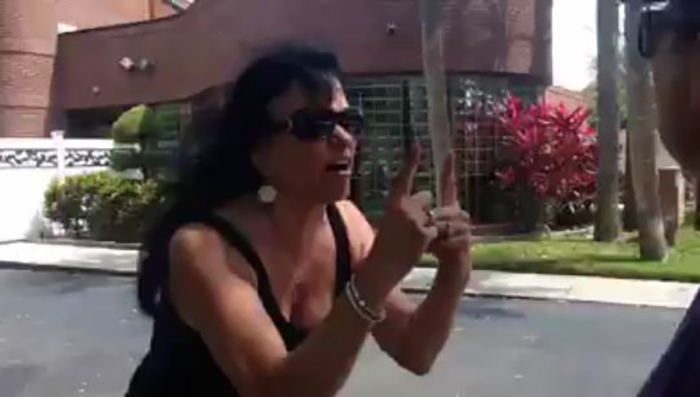 Pro-lifers Michele Herzog and Sandra Diaz were outside the EPOC abortion facility, which is owned by the notorious James Pendergratft when they had an altercation with an abortion advocate. Diaz told Live Action News that they noticed when a car with New Hampshire license plate pulled into the abortion facility that they observed how young the girl in the vehicle was. “I told Michele she is very young,” Diaz recalls. Diaz said that Herzog, who regularly counsels outside Florida abortion centers, was only trying to give the couple some materials warning them about how dangerous that facility was when the woman in the car came towards her in a very aggressive manner. “The woman came out of the back seat and didn’t go towards the abortion clinic. She went at Michele in an aggressive way,” Diaz said. Diaz said that she asked the woman to please return her phone, but the mom charged to the other side of driveway, where her son was standing and yelled at him, as well. Diaz and Herzog flagged down a police officer, and as he pulled into the clinic, the woman ran to his car, but, according to Diaz did not immediately listen to the officer to back away. The officer eventually retrieved the phone and returned it to Diaz; the video Diaz was able to capture collaborated her story. Diaz was given a victim sheet to fill out and has requested that theft charges be filed against the women. She has yet to hear what authorities intend to do. Meanwhile, Diaz states that the young girl never had the abortion and the family left the facility after the incident. In another example that occurred over a year ago, Gloria Boze, who is a regular outside a Planned Parenthood in Colorado, told Live Action News that after she was threatened with a gun. Authorities, however, refused to prosecute the offender. She said their pro-life group immediately called the police, who arrived within minutes as the man was about to leave Planned Parenthood. “He was taken out of his car, placed in handcuffs, and put in the back of a police cruiser,” Boze said. She said that when police searched his car, they found the fully loaded weapon in the back seat. “There was also an ammo clip hanging from the rear view mirror. We were all so shocked,” Boze said. This isn’t the first time pro-lifers have been threatened with a gun. 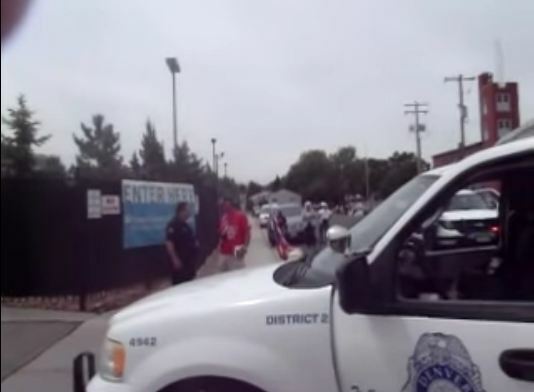 In 2010, Operation Rescue documented that an abortion advocate threatened to gun down pro-life activists at a late-term abortion clinic in Albuquerque, New Mexico. Also in 2010, Charleston Police arrested abortionist Gary Boyle after he pointed a gun at three abortion protesters near the back entrance of the Charleston’s Women’s Medical Center abortion center in South Carolina. In 2015, an Indiana man was arrested after he threatened pr-life activists with a gun at an Illinois Planned Parenthood. 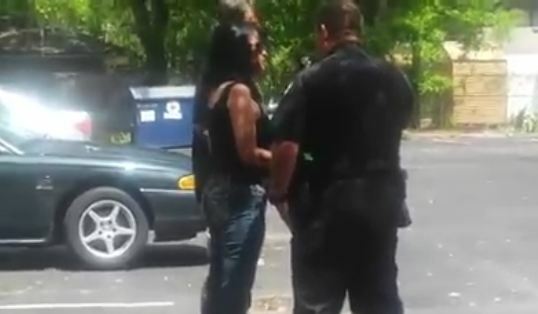 Then, in July of that same year, Bristol, Tennessee, police arrested Derrick Doss just outside the Bristol Women’s Clinic abortion center, after he brandished a gun at pro-life demonstrators as he walked into clinic with his girlfriend. And in North Carolina police refused to arrest another man who pulled out a weapon to threaten Abortion Abolitionists outside the A Woman’s Choice abortion facility in Raleigh. Bud Shaver, Executive Director of Protest ABQ, who is a regular presence outside a late term abortion facility in Albuquerque, New Mexico, owned by abortionist Curtis Boyd, along with his wife Tara and others, has been a frequent target of violence. He said the real violence comes from abortion advocates.